Never before in history has exploration of sexual and gender identities been so fluid, inclusive, and self-defined. This includes those who may describe themselves as lesbian, gay, bisexual, trans, queer, and/or gender non-conforming (LGBTQ). Yet, many people experience doubt or confusion regarding sexual and gender orientation that may need additional support. Our clinicians can provide a safe and welcoming space within which to explore these bio-social-emotional identity issues. Several decades of research has shown a clear connection between experiences of discrimination and psychological unwellness. Overt and covert forms of homophobia have been linked to symptoms of depression, worry, anxiety, stress, substance abuse, agoraphobia, paranoia, and suicide. The traumatizing effect of discrimination, which is similar to posttraumatic stress disorder (PTSD) is real and contribututes to mental health disparitles among LGBTQ individuals. Distress and unwellness is caused by a combination of stressors, including overt and covert homophobia, discrimination, abuse, and/or microaggressions. 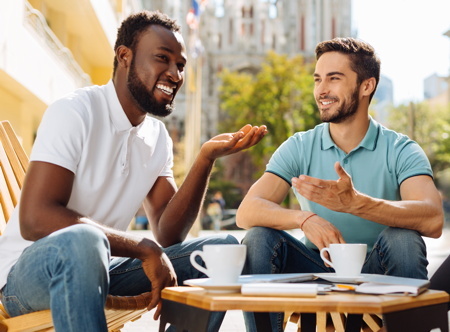 Microaggressions are brief, everyday exchanges, in the form of seemingly innocuous comments and subtle gestures that send denigrating messages to people who are a part of marginalized groups. Microaggressions are a primary source of biased experiences on a day-to-day basis and are also a barrier to treatment for LGBTQ clients when delivered by mental health professionals. This has important applications for many stigmatized groups, including those with intersecting identities and who may have experienced violence due to their orientation. The ability of clinicians to accurately understand and assess their clients' difficulties is the essential first step to effective treatment. At BWC, we are on the forefront of the development of a scientific and qualitative understanding of the nature of these difficulties. We conduct in-depth evaluations of victims of discrimination for legal purposes, worker’s compensation, treatment, training, and research. One of the most important contributions to this work is ongoing work in the development of a reliable means of identifying those suffering from trauma due to discrimination. Dr. Monnica Williams has developed a clinical interview called the UConn Racial and Ethnic Stress and Trauma Survey (UnRESTS). The UnRESTS provides therapists with their first and only semi-structured interview for uncovering discrimination-related trauma in clients. She also developed the Trauma Symptoms of Discrimination Scale (TSDS), a 21-item self-report questionnaire to aid in screening people exposed to discriminatory events and potentially monitoring anxiety-related symptoms of trauma over the course of treatment. Experiences of discrimination can lead to stress, anxiety, traumatization, and depression. Even low-levels of discrimination experienced on a regular basis can result in psychological unwellness. Anyone suffering as a result of such experiences can contact us to schedule an in-person evaluation or phone consultation for treatment at the Behavioral Wellness Clinic. We understand the cultural, social, and spiritual issues that shape the whole person. At BWC every therapist is dedicated to providing culturally-competent services to diverse clients, whether or not that therapist identifies with a marginalized group. Our therapists are professional, open-minded, flexible, and will work hard make you feel understood and validated. Stewart, C. E., Lee, S. Y., Hogstrom, A., & Williams, M. (2017). Diversify and conquer: A call to promote minority representation in clinical psychology. The Behavior Therapist, 40(3), 74-79.